Gensler Goes Hollywood with "Vertical Campus" - Archpaper.com Gensler Goes Hollywood with "Vertical Campus"
Hudson Pacific Properties is banking on the continued appeal of Hollywood office space with its Icon at Sunset Bronson Studios, a 14-story tower designed by Gensler. Targeting creative professionals, Icon reconfigured the suburban campus typology for an urban setting. 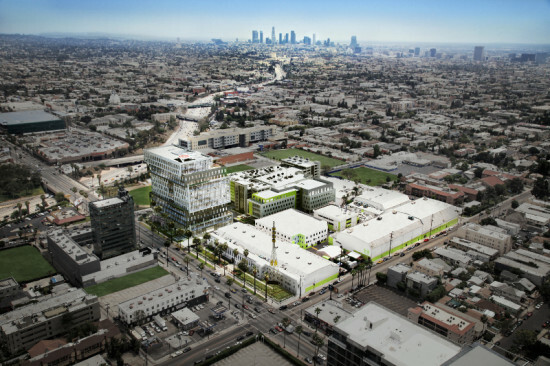 Gensler associate Amy Pokawatana called the development a “vertical campus,” blending “work, relaxation, and recreation.” Part of a $150 million studio expansion, the project takes its cue from a six-story building the developer finished on the Sunset Gower Studios lot in 2008. The building features five rectangular, stacked volumes, offset horizontally to create exterior terraces. 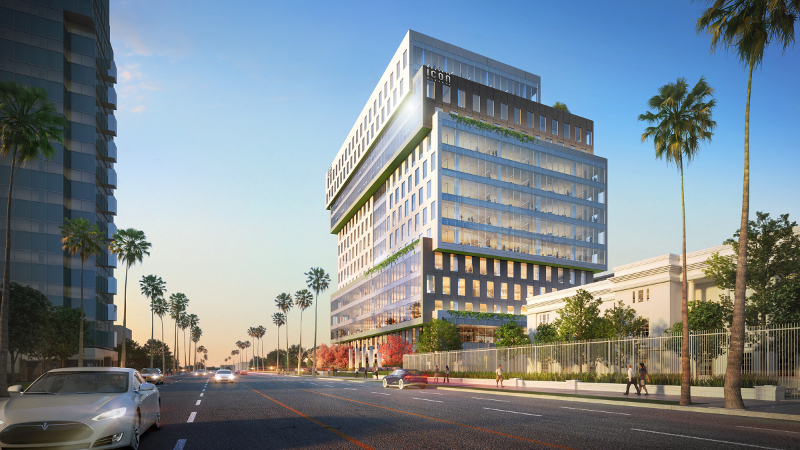 The high-performance envelope alternates between glass curtain wall and precast panels to break down the scale and frame views to downtown LA, the Hollywood sign, and the Santa Monica Bay. 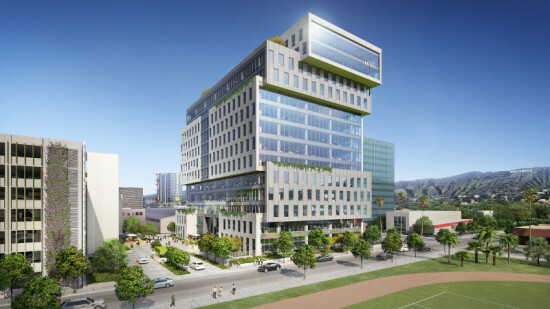 In addition to providing outdoor green space on multiple floors, the design incorporates flexibility and connectivity. Large floor plates and connections between floors allow for both open and traditional office layouts, said Pokawatana. Pokawatana is confident that her firm’s vertical campus concept answers the needs that once drew creative and tech offices away from the city center, combining the best of urban and campus buildings. “There is a shift in the way companies work today, and we are designing a building that can inspire, promote, and nurture this new paradigm,” she said.